We love a product that multitasks and Goolie Goolie is just that. It’s a dummy and soft comforting toy in one – no more losing dummies or messing about with dummy clips and clasps, keeping track of comfort blankets and so on. It’s all there in Goolie Goolie. So which is it, a soothing dummy or a comforting toy? The answer is simple, the Goolie Goolie is both! 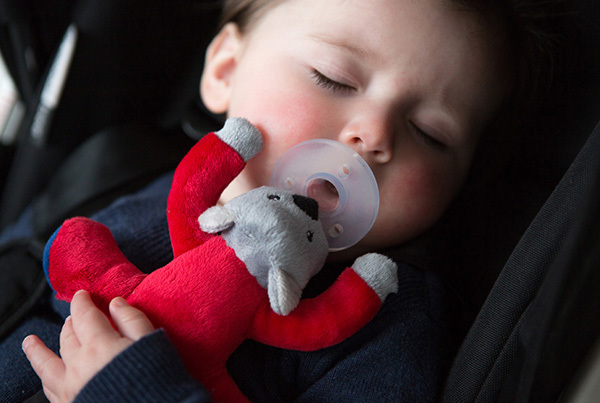 Essentially, it’s a dummy permanently attached to a lightweight Australian animal toy designed for children aged up to six months and brings great comfort for babies who benefit from a tactile comforting object. At 12 centimetres long, it’s large enough for children to find themselves when they need it. Beautifully packaged, the Goolie Goolie makes a unique gift for a new baby and you can choose from three Goolie Goolie designs. Bluey the wombat, Rusty the kangaroo or Banjo the koala are all buttery soft, perfect for young children. Goolie Goolie is completely safe used under supervision, meeting Australian Safety Standards while the dummy is made from medical-grade silicone and is completely BPA free. Goolie Goolie is priced $24.99 and available from Angelfish Dragonfly.